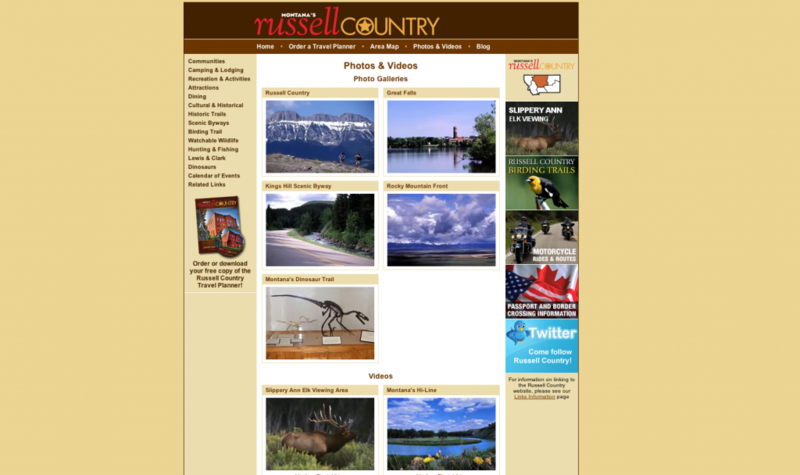 Here’s a link to Russell Country’s video page on their site. They have some nice videos and show some cool footage from north central Montana. I have finally had a break from the road and have managed to be home the last two weekends! Could be a record. Although it’s nice to be getting caught up on some computer and photo maintenance, I’m already itching to get back out and do some shooting. We are currently in a transition of sorts in between Fall & Winter and I’m hoping that we get some snow soon as all of our Fall is obviously behind us. It will be a nice change of pace to start doing some winter photography. Hopefully I will get some new pics up soon and in the meantime I will be boring you with all of my web browsing finds. I do have some trips coming up including Yellowstone National Park and the Rocky Mountain Front, so stay tuned for some new winter photos from these areas. I’m nearly drooling to visit Montana after viewing your photography. Is it as beautiful as your photos make it seem? (I live in Denver and want to perhaps do a Montana road trip next spring.) Also… are you able to see the Aurora Borealis in MT? I’m enjoying your blog – looking forward to seeing winter in your future posts. Based in Montana, Jason works as a freelance and commercial photographer, specializing in travel and outdoor photography. His work has been featured in National Geographic Traveler, Time, Outside, Audubon, Outdoor Photographer,The Nature Conservancy and many others. His images have also been featured in numerous advertising campaigns, books, and calendars around the world.